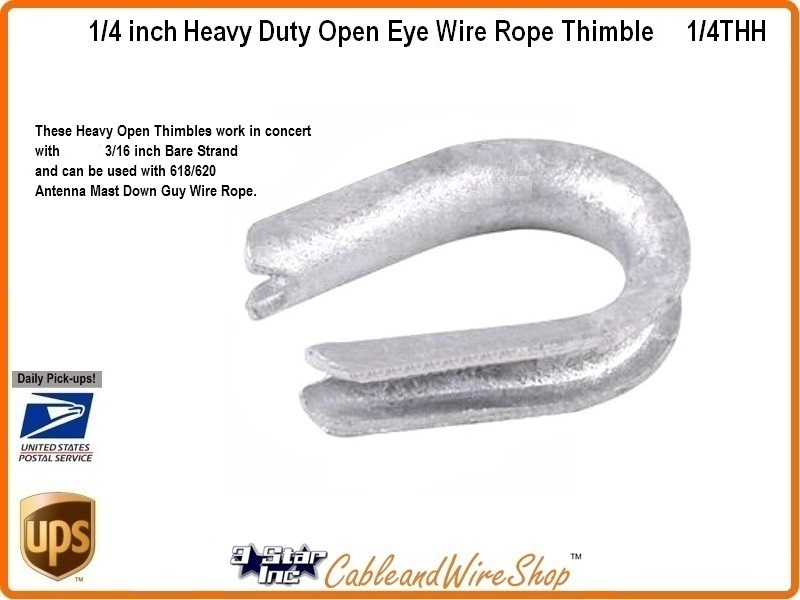 These Heavy Open Thimbles work in concert with 3/16 inch Bare Strand and cable clamps, or can be used with 618/620 Antenna Mast Guy Wire Rope and 1/8" cable clamps. Thimbles prevent the crimping of guy wire and preformed guy grip Terminations. They are used 1/16 inch larger than the guy wire when terminated with cable clamps, or 2/16 inch larger when terminated with guy grips.